This One Piece Bracelet has the Strawhat Pirates logo embedded upon it. 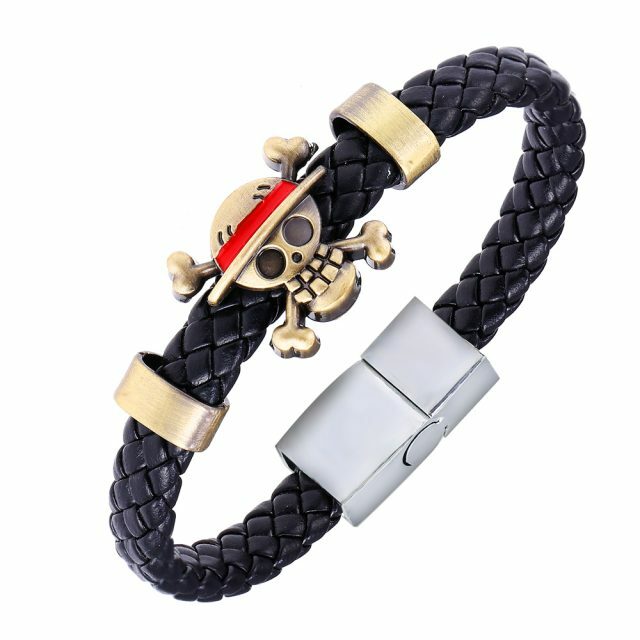 Made of quality zinc alloy and leather, it is durable and trendy as a fashion bracelet – perfect for fans of One Piece! 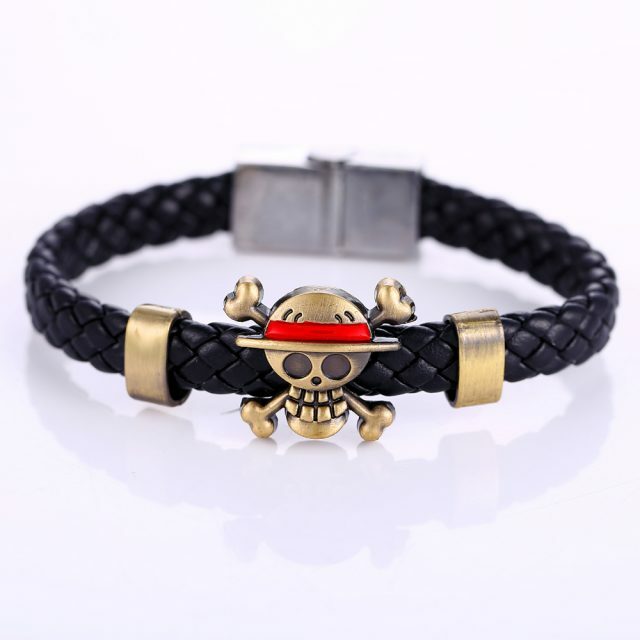 Length: 20.5 cm / 80.7 in. Thank you for fast delivery and cool quality! Lovely item. I think fits most of sizes. Thank you for such a good item! 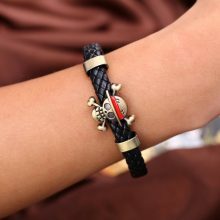 I'll wear this bracele every day! Adorable braclet - made well and qualitative. I am satisfied with purchase.